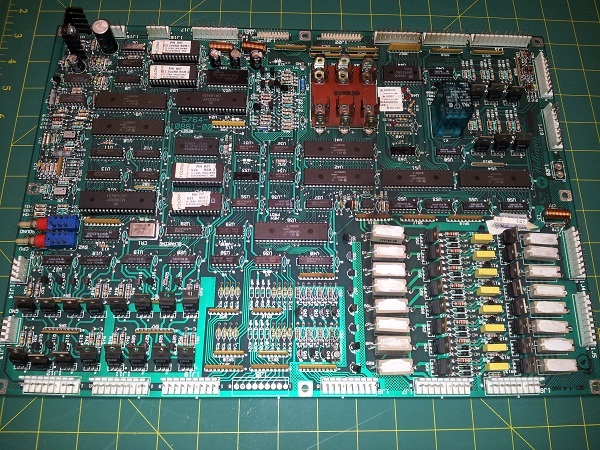 Pulled the MPU board out tonight to fix the language jumper. The board is in pretty good condition (both back and front). I plan to remove the AA battery holder and replace it with either a remote holder or a lithium battery holder on the board. Probably the next thing I’ll do. With Pinbot safely at home now, I’ve spent the last two weeks doing lot of investigating on the machine to find what parts I must replace, what I’d like to replace and what will be fine after a good clean. Just like I did with my previous projects, I’ve been putting together a spreadsheet with part numbers, suppliers and prices so I can organise it all to minimise shipping costs and get the best for my $. It also helps me organise purchases so I can work on the machine in sections and I’m not caught short and leave sections incomplete because I don’t have the parts (that still does happen at times, but planning minimises it). I’ve been able to use the experience gained from those projects to help improve how I plan this stuff out and it’s good to see clear lessons learnt along the way. There are a few things I can work on now however to begin getting the machine back online and (eventually) inside the house where it will live. 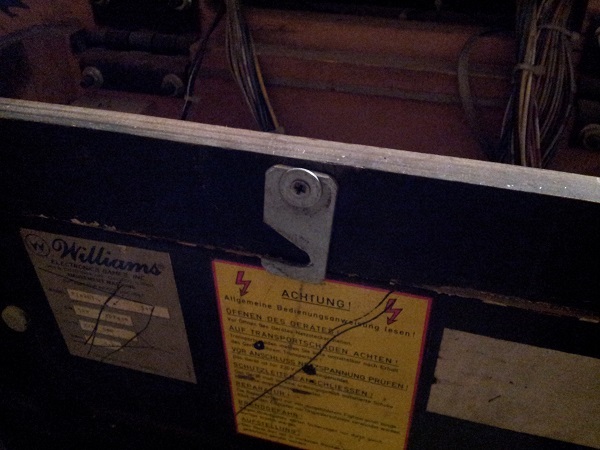 First up was putting a proper latch on the headbox. The latch that was attached only hooked onto a small screw and didn’t give me a lot of confidence in it. I couldn’t resist digging through the parts box today and doing some cleaning on the extra plastics. Most of these I wont need (thankfully as many have small sections missing), but I wanted to get them cleaned up anyway in case I do need them. Otherwise I can move them on to good homes once the project is complete where they can be useful. Most (….well all) of these have been sitting around for god knows how long, so are covered in dust and dirt. Eucalyptus oil, Novus 2 and Novus 1 work wonders. There is some fading in one or two of the pieces sadly, but not much I can do about that. 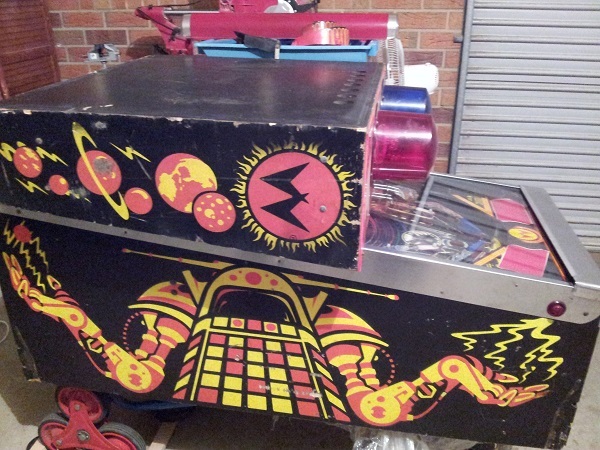 I was very excited today to bring a Pinbot machine home – finally – one to call my own. 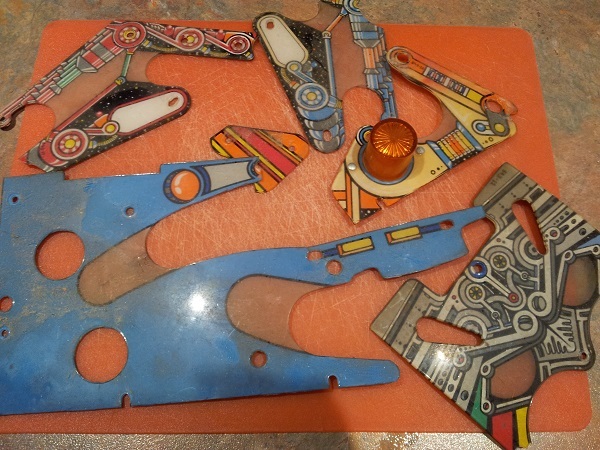 I’ve been on the look out for one for a number of months now and it was supposed to be the second machine in my “fleet” (…I however went on to buy a lovely Space Orbit and Fireball Classic project when nothing was turning up). What makes the purchase even better in my eyes however is it’s a project machine. Not content to just buy and play, I’m eager to restore a machine I want to keep for a long time and have the satisfaction of doing the work myself.